Hello Everyone, today we have a special guest post from Graham & Brown. Read below to learn all about wallpaper and color! Often associated with mystery and secrecy, it can also hold many deeper, often formal and reflective connotations for those who favor it. The bold and powerful shade is extremely intense and it takes a strong personality to create such a statement. 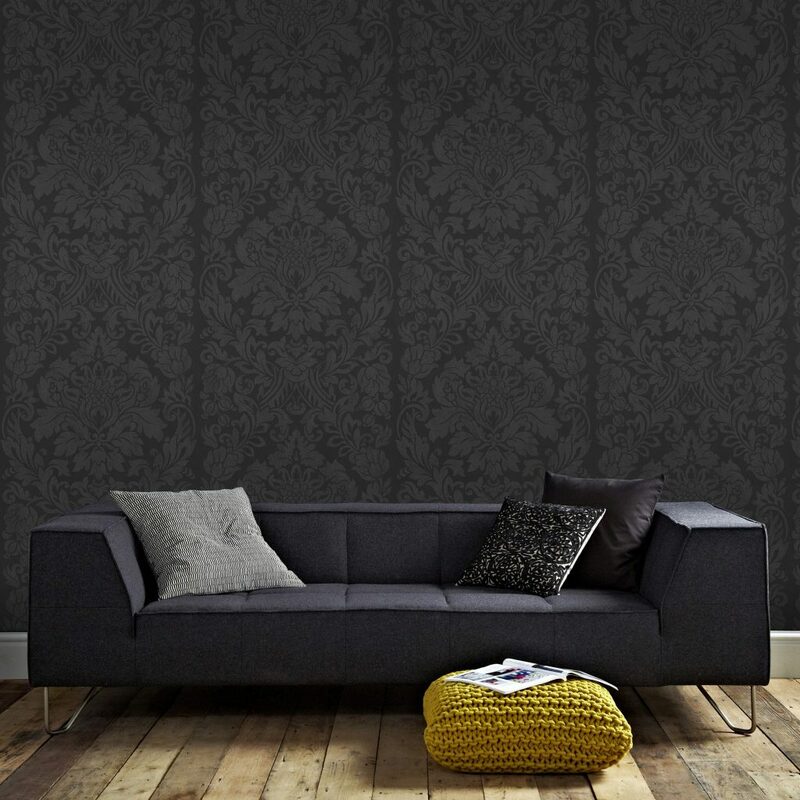 To be bold and brave, use black wallpaper – it’s a great backdrop that will really show off your personality. There are so many modern wallpaper patterns available for purchase today in this bold color- your options are endless!